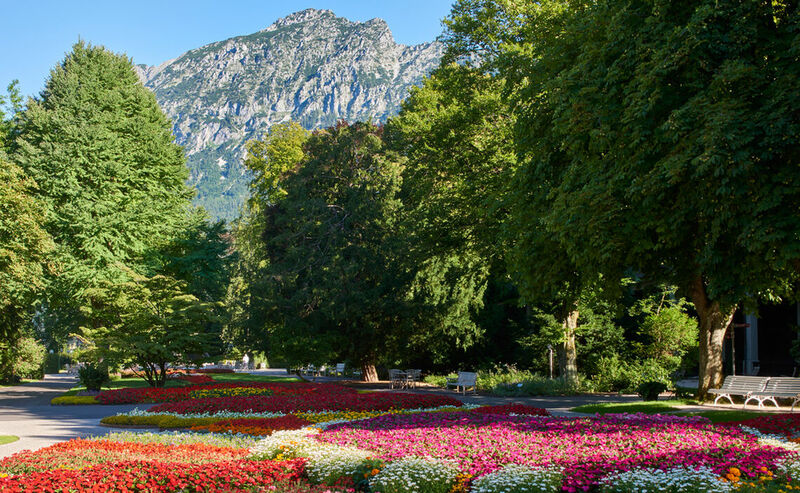 The Alpine Town is dotted with flowerbeds, extensive city-center parks, tree-lined avenues and streams. The town’s 70-some babbling fountains and the swiftly flowing Saalach river constantly cool Bad Reichenhall’s air. After their curative treatment, those who seek activity can follow the barefoot trail in Ortnau Park and, in so doing, massage their foot reflex zones. Others may prefer to meditate in the Mäander Labyrinth. As a balance to a shopping spree, some may wish to cool off in the Kneipp cold water pools at the Royal Spa Garden to rebalance their circulation. Early morning and evening athletes favor the outdoor fitness course at Rupertus Park. Here the exercises are aimed at fitness and vitality to prepare the visitor for the Alpine Town’s other activities and experiences. Landscaped in 1868 by the royal Bavarian court gardener Carl von Effner, today the spa garden is considered to be one of the most beautiful of its kind in Central Europe. It is harmoniously surrounded by stately architecture such as that of the Circular Concert Hall, the Königliches Kurhaus and the Lobby. Resting comfortably on a bench one can enjoy views of the inspiring mountains that protectively surround Bad Reichenhall. 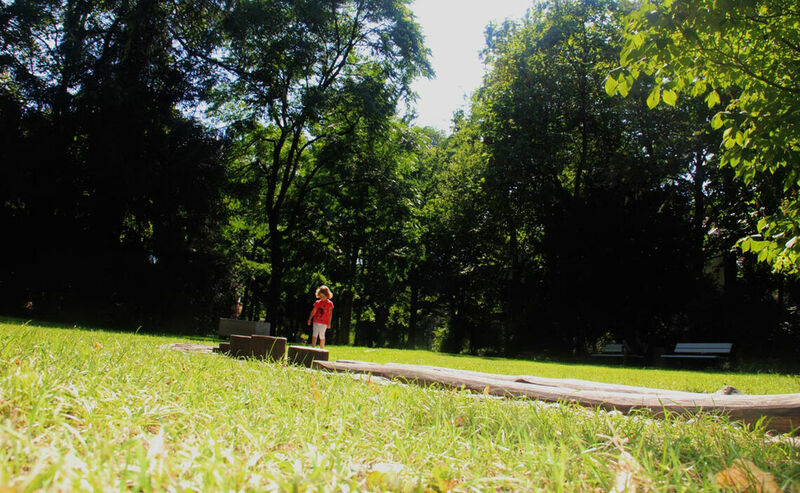 Ortenau is a light-flooded and welcoming park, open on all sides. Wood or stone seats offer an open invitation to sit down and relax. 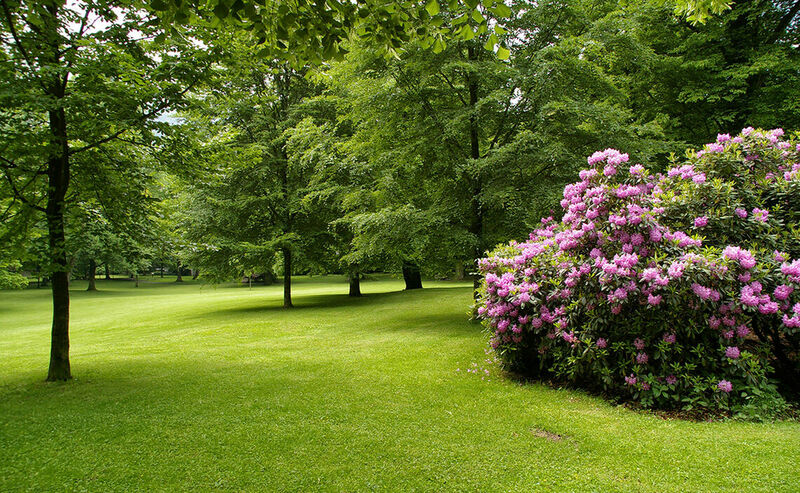 This is a park in which one can linger and regenerate in a natural and health-giving environment. Karlspark’s paved walking paths invite one to meander beneath ageless trees and several benches offer relaxing moments of rest and reflection. In the center of the park the spring that splashes into the pond is called Marienquelle (Mary’s Spring). Healing powers have been attributed to its waters. 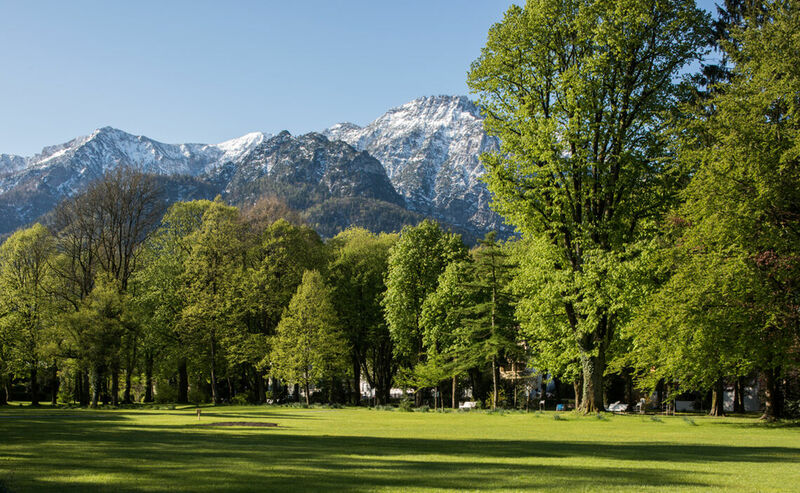 Bad Reichenhall’s Rupertuspark, located right next to the RupertusTherme, has become a meeting place for people of all ages. Here visitors can walk, get together, work out on the outdoor fitness equipment or set out on a hike to Nonner Au.